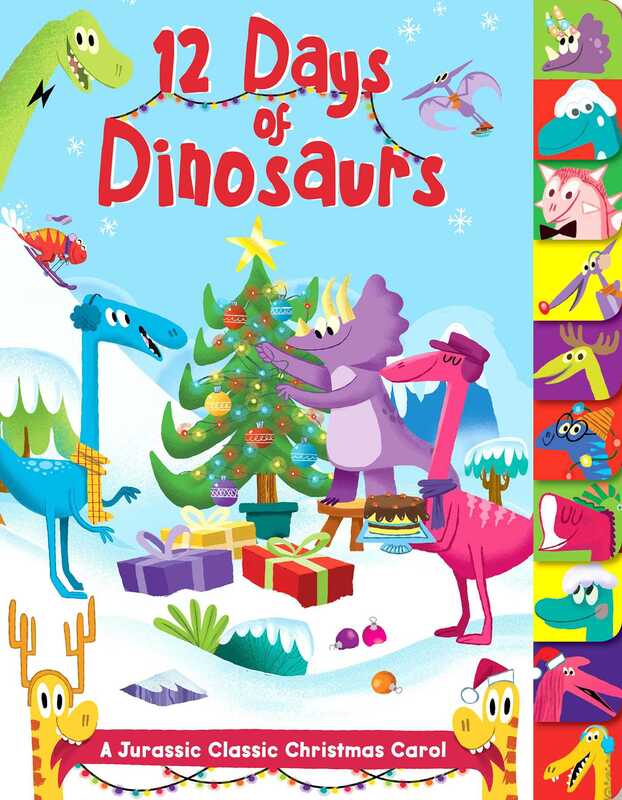 A classic Christmas carol with a Jurassic twist! A Tyrannosaurus trying to ski." Sing along with this classic turned Jurassic! Hilarious illustrations and text make this a festive favorite for dinosaur fans. So put your Christmas sweater on, warm up some hot cocoa, and get ready to carol with some Quetzalcoaltluses! Adam Devaney has enjoyed working as an illustrator for the the past 15 years. With more than 100 children’s books published, he still enjoys the challenges that illustrating brings in creating new properties for publication. Adam received his formal art training at the Laguna Art Institute in Laguna Beach, California. He also enjoys working in the movie industry as a production designer and editor. He has received many awards, including an Emmy, for his work in film.